Discover the 90 distinct neighborhoods of Pittsburgh Pennsylvania when you stay at the centrally located Wyndham Grand Pittsburgh Downtown. Where soaring skyscrapers and Pittsburgh's famous three rivers meet, an upscale hotel experience awaits in downtown. 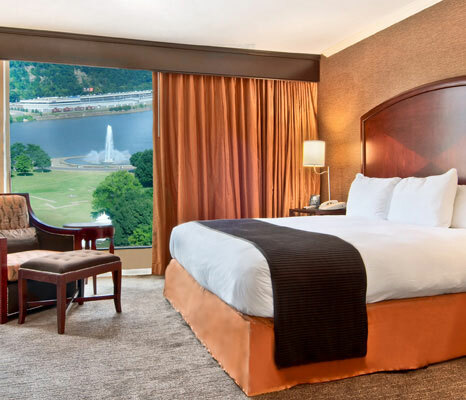 With 35 event rooms and over 60,000 square feet of prime downtown event space, the Wyndham Grand Pittsburgh is recognized as one of Pittsburgh’s most sought after destinations for special events. 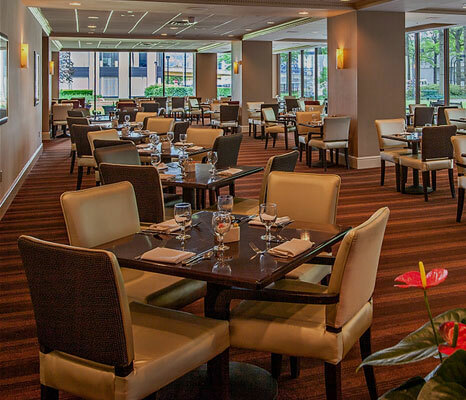 Discover a “Classic Pittsburgh” dining experience in our 3 Rivers Restaurant, featuring a delicious breakfast, lunch and dinner menu complete with many of Pittsburgh’s favorite tastes. Make this hotel in downtown Pittsburgh a home base for exploring this thriving epicenter for sports, arts, culture and outdoor activities. Peruse the fascinating exhibits at the Andy Warhol Museum, soar to the top of Mt. 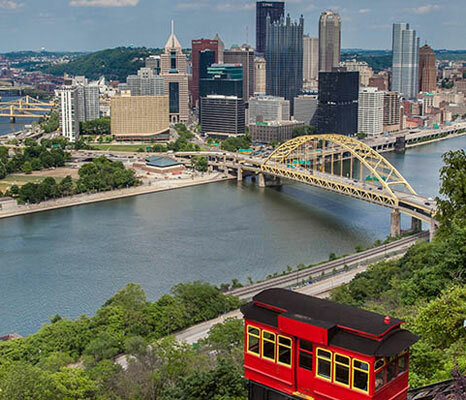 Washington in a wooden cable car on the Duquesne Incline, or catch a Broadway show in the vibrant Pittsburgh Cultural District. An award-wining event service staff with 35 stylish conference & meeting rooms to create truly special events that are sure to impress. Weddings, receptions and rehearsal dinners at the Wyndham Grand Pittsburgh Downtown hotel are sure to be an affair to remember.